A couple of tackled Rorqual industrial capital ships became the focus point of a battle in 0P-F3K in Deklein. Pandemic Legion [-10.0] Talos battlecruiser fleet and a Pandemic Horde [REKTED] Hurricane battlecruiser fleets attempted to destroy the ships who were quickly defended by a Guardians of the Galaxy (GotG) Ferox battlecruiser fleet. Dal in Heimatar saw Siege Green. [SSGRN] and its ally Lost Obsession [FATE] confronted Did he say Jump [JMP-N] and Shadow Cartel [SHDWC] over a neutral citadel in the system. Siege Green. and Lost Obsession fielded a Machariel battleship fleet supported by combat carriers against Did he say Jump\Shadow Cartel’s Rattlesnake battleship fleet. The battle escalated into a capital brawl. The Catch region saw a running battle between several fleets including a Providence Bloc Phantasm cruiser fleet, a Goonswarm Federation [CONDI] Moa cruiser fleet, a Brave Collective [BRAVE] Augoror Navy Issue cruiser fleet, a Circle-Of-Two [CO2] Rupture cruiser fleet and roaming Drake battlecruiser fleet. These various fleet met in combat over four systems resulting in one chaotic fight. Kenobanala in Derelik saw Lost Obsession and allies drop on Reverberation Project [ECHO]. Both sides fielded Machariel fleets. GE-8JV in Catch saw Brave Collective and Circle-Of-Two Clash wish Goonswarm Federation over an Astrahus citadel. Brave Collective fielded a Augoror Navy Issue fleet while Cirlce-Of-Two brought a Omen Navy Issue cruiser fleet. Against this, Goonswarm Federation assembled a Caracal cruiser fleet. Nisuwa in Black Rise saw a brawl over a citadel between a joint WAFFLES. [N0MAD]\Snuffed Out [B B C]\Project.Mayhem. [16-13] Machariel fleet and a similar fleet run by Shadow Cartel and Did he say Jump. 2O9G-D in Deklein saw a GotG Cerberus heavy assault cruiser fleet intercept a Pandemic Horde Federation Navy Comet frigate fleet on the JU-OWQ gate. Oijanen in The Forge hosted an event organized by Spectre Fleet. In a two hour long brawl, 2,200 pilots fought over a Spectre Fleet titan with multiple fleets engaging each other. In the end a makeshift coalition of alliances banded together to triumph, destroying the titan in the process. 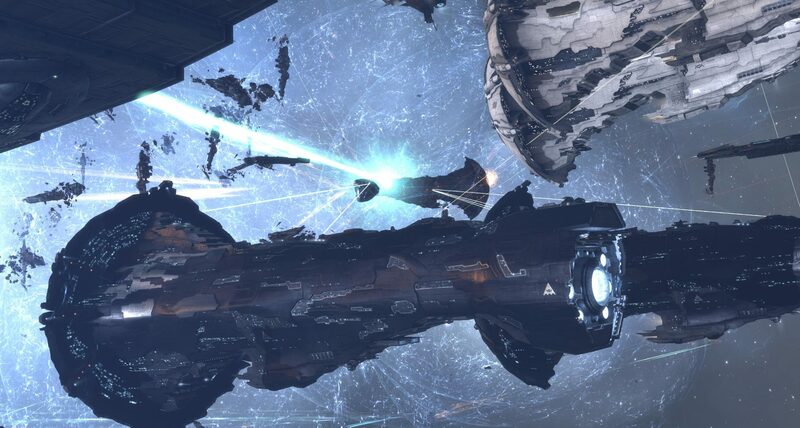 Eha in Black Rise saw a clash between a Machariel fleet belonging to WAFFLES.\Snuffed Out\Project.Mayhem., supported by a Pandemic Horde Hurricane fleet and a Rattlesnake battleship fleet belonging to the Caldari militia and supported by a Did he say Jump\Shadow Cartel Machariel fleet. Thanks a bunch for sharing this with all folks you actually recognise what you’re speaking approximately! Bookmarked. Please also seek advice from my website =). We can have a hyperlink exchange agreement between us! Exactly how do you erase your blog site remark that you left on somebody else blog? I’m wishing to take a look at blogs including songs I such as, yet sorting via all the separated, dated and also crap blog sites is a hassle. I understand there are countless blog sites, is there a great source to seek the preferred ones?. Needed to draft you this very small word so as to thank you very much once again for these unique things you have provided on this page. It was certainly remarkably open-handed of people like you to provide easily all that many individuals would have supplied for an ebook to get some bucks for themselves, most importantly considering the fact that you might have tried it if you ever considered necessary. These basics additionally acted to be a fantastic way to be aware that someone else have the identical eagerness just as my personal own to know a good deal more in regard to this matter. Certainly there are some more pleasant situations ahead for individuals who check out your website. I am now not positive where you are getting your info, however good topic. I needs to spend a while learning much more or figuring out more. Thank you for wonderful information I used to be searching for this information for my mission. Considering that the MSM is entirely skewed, what blogs/websites have you found that offer you information that the MSM overlooks?. whoah this blog is great i really like reading your articles. Keep up the great work! You realize, lots of persons are hunting around for this information, you can help them greatly. kO6K2c This very blog is without a doubt interesting and besides diverting. I have picked up helluva useful stuff out of this amazing blog. I ad love to go back every once in a while. Thanks! I happen to be commenting to make you understand what a incredible encounter my cousin’s princess found checking yuor web blog. She picked up too many details, which included what it is like to have a great giving spirit to let a number of people very easily know precisely chosen advanced issues. You truly did more than our desires. I appreciate you for coming up with those helpful, healthy, educational and as well as fun tips on your topic to Ethel. I enjoy you because of all your work on this web site. Ellie takes pleasure in engaging in internet research and it’s simple to grasp why. Most people hear all relating to the dynamic method you make informative tips by means of your web site and in addition boost response from visitors on the matter and our favorite daughter is discovering a lot. Have fun with the rest of the new year. You’re the one conducting a great job. Hey very cool blog!! Guy .. Beautiful .. Wonderful .. I will bookmark your web site and take the feeds also¡KI’m satisfied to search out numerous useful information here within the post, we want develop extra strategies in this regard, thank you for sharing. . . . . .
I’m still learning from you, but I’m trying to achieve my goals. I absolutely liked reading all that is posted on your blog.Keep the stories coming. I enjoyed it!